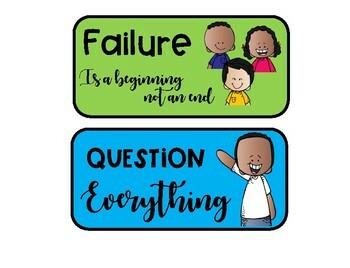 Teaching kids to have GRIT is a life long journey. 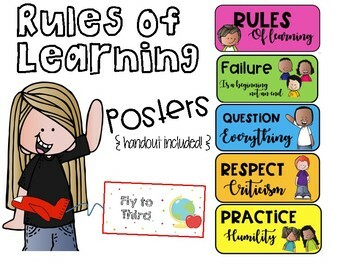 This Back to School "Rules for Learning" poster will remind kids that learning is a journey not a checklist of things to do. 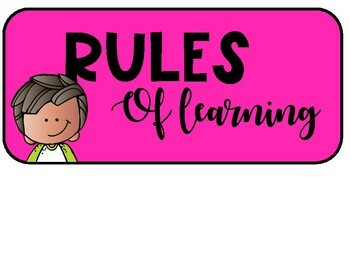 Use it on a bulletin board, center, collaborative groups, or however you choose. 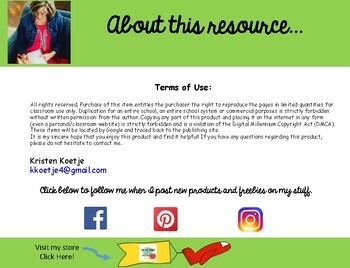 A handout is included that can be sent home to parents on a parent night or during conferences.